Is continuing to pay into your negative equity mortgage untenable? Are you relying on unsecured debts or assistance from family to meet your mortgage payments? 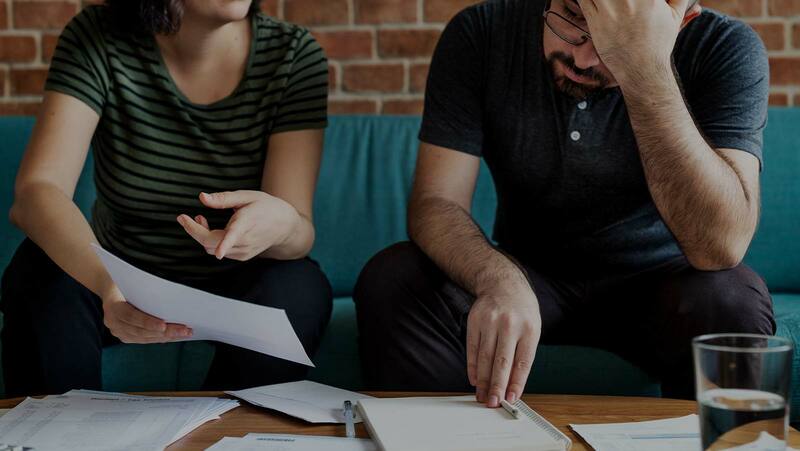 Are you facing mortgage arrears, repossession? Trying to continue with an unaffordable mortgage is rarely a good idea. Once instructed we can take over all lender (and solicitor) communication and negotiate a sale of your property, and an affordable settlement in relation to any shortfall (negative equity). If your property is in negative equity, we are the experts. Having worked successfully with hundreds of clients to bring an end to their existing financial pain and anguish, we certainly know what we are talking about and our 5 star testimonials demonstrate this – find out what our clients had to say about the services they received on reviews.co.uk. Our experienced, multi-skilled staff consisting of Chartered Accountants, Insolvency Practitioners and banking professionals are experts in the broadest possible range of tried and trusted debt solutions. These range from bespoke informal settlements, Individual Voluntary Arrangements (IVAs) through to improved re-negotiation of existing agreements and mis-selling claims. Using our impressive armoury of solutions, in tandem with superb relationships developed over many years with the vast majority of UK lenders, we have achieved over £40M of debt write-off across the past 3 years. Our average write-off, across all clients, is an impressive £74,546. Not only do you get complete access to this unrivalled experience and expertise, but you also have the comfort of knowing you are working with an organisation authorised and regulated by the Financial Conduct Authority (FCA) – FCA number 688199. Our main objective is to help you move forward from your current position, which is probably a mix of anxiety, confusion, stress and frustration, to one where these financial difficulties have been resolved/significantly improved, allowing you and your family to plan confidently, positively and happily for the future. Your lender is duty bound to treat you differently if you are in genuine financial hardship. After speaking to us we may refer you to a free debt advice service.